WHOLE WILD RABBIT, WHOLE FREE RANGE CHICKEN, PASTURE-RAISED LAMB (MUSCLE MEAT, LIVER, KIDNEY) AND THAT'S ALL. 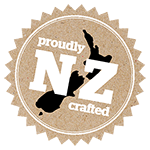 All ingredients are sourced from New Zealand. WHY WHOLE FREE RANGE CHICKEN? High level of protein - the building block of muscle. Source of niacin and selenium - necessary for normal neurological function, normal cell function and a healthy immune system. Vitamin E - supports the immune system, cardiovascular health and development of skin and muscles. Low levels of saturated fat and cholesterol - promotes cardiovascular health.